Scotland has enjoyed one of its best grouse shooting seasons to date hailed by some as the best in a generation. Sporting Lets, Scotland's leading sporting agency, is reporting one of best years in living memory. With the season not officially due to end until December 10th, Sporting Lets is predicting a record overall count of grouse shot and multi-million pound income generated for the Scottish economy. The season got off to an excellent start right from the Glorious 12th, with most estates reporting this year's birds to be in good condition. This is partly due to the past year's climate; the winter of 2013 was followed by a long and mild spring and equally favourable conditions throughout the summer months combined with the driest September in Scotland since records began, resulting in the best breeding variables one could hope for. Predictably, spring counts were good although some moors did report a slight loss in brood size as July approached. Although some estates sensibly adopted strict biosecurity measures in light of outbreaks of bulgy eye south of the border and some areas of southern Scotland this did not have any material impact on shooting. Records are thought to have been broken right across Scotland with one Morayshire moor starting the season with 220 brace on their first day's shooting on the 12th August. Robert Rattray, partner at CKD Galbraith and head of Sporting Lets, is delighted with the season's results to date. He said: "The grouse have been particularly well grown this year, with record bags being recorded right across the country due to the fantastic shooting available right from start of the season, and continuing through October which has benefited from the dry and mild weather. 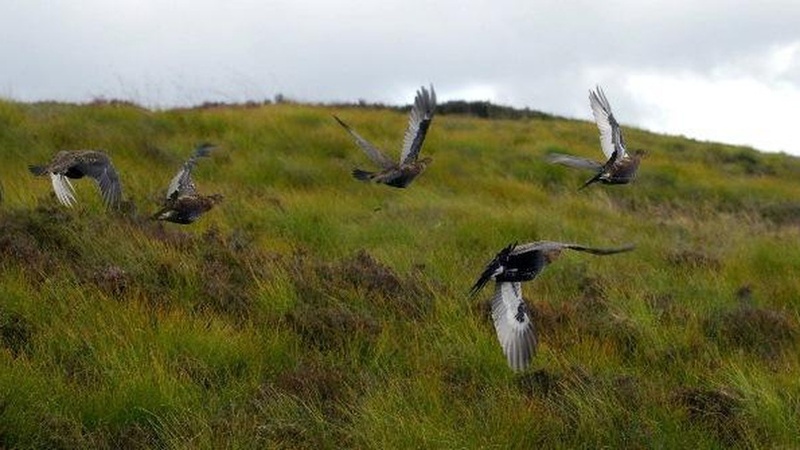 "Perthshire has really done particularly well, with grouse numbers well up on those moors being actively managed. One mid-Perthshire estate had a best early season day of 277 brace in just four drives in a stiff wind. Generally, bags of 100plus brace were not uncommon throughout the region's moors. "The Cairngorms and Aberdeenshire continued to improve this year with new records also being set on the Monadhliaths; one estate had a best day ever of 316 brace on 15th August possibly a record for the Monadhliaths. We have reports that the Lammermuirs have an estate with 1,500 brace over the first four days of the season." Scotland has a reputation for world class sport with the most spectacular scenery to enjoy during the season. Sporting Lets has been bringing international clients back to Scotland for over 30 years and demand also remains very strong within the UK.